Like two ships passing in the dark, the Apple iPhone 5 seems to have lost momentum, explaining why Apple has significantly cut orders for parts to build its iconic smartphone. The other ship, the S.S Samsung, seems to be moving in the right direction with not one, but two sizzling hot devices in the Samsung Galaxy S III and the Samsung GALAXY Note II. But it is the former that is being celebrated on Monday, as the flagship Android handset is part of the Samsung Galaxy S series that has sold over 100 million units. Just two years and seven months after the first Samsung Galaxy S entered the market, Samsung has made the line extremely popular with those looking for an alternative to the Apple iPhone. And as we told you on Saturday, the teens say that the Apple iPhone is out and the Samsung Galaxy S III is in. As we noted, part of that comes from the way Samsung's commercials position the iPhone as a device for older people while the features on the Samsung Galaxy S III appear fresh and new. 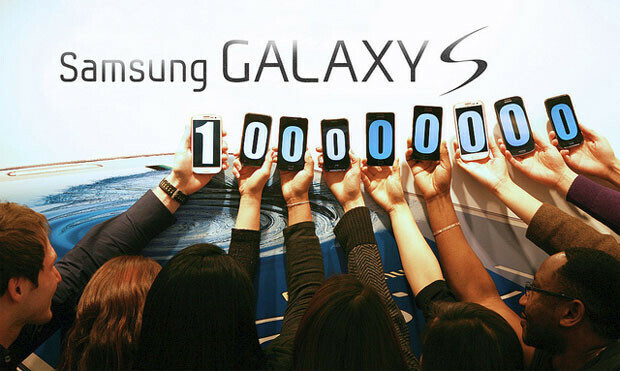 The Samsung Galaxy S sold 10 million phones in its first year and the Samsung Galaxy S II has sold 40 million units, with the number of units sold doubling since February. Meanwhile, by November Samsung had sold 30 million units of the Samsung Galaxy S III. Right now, 190,000 of the latter device are being rung up daily. 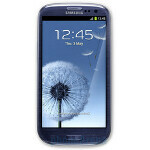 At that pace, over 69 million units of the Samsung Galaxy S III would be sold in one year. It all adds up to the top position for Samsung in the global smartphone market. Take a bow Sammy, you've earned it! Another milestone achieved good going samsung all the best! We are waiting for Galaxy SIV. Well speaking of smartphones, Nokia 5230(the touch screen symbian )alone allegedly sold 150 million units. Which makes it by far the BEST SELLING SMARTPHONE EVER. http://en.m.wikipedia.org/wiki/List_of_best-selling_mobile_phones See that, Lumias? good job. better if this is compared to Iphone sales during the same periods/years so we have a perspective of the relative success rate? They deserve every bit of their success :) both my GALAXY S2 and S3 have been such a joy to use, they are true workhorses with incredible features, great UI and simple yet user friendly design, not to mention powerful and extremely versatile. Christ, I remember what a huge goddamn deal it was for Motorola to sell a single million of the original Droid in less time than the original iPhone did. I also remember when iFans would crow triumphantly that Apple was the best because they sold more phones than everyone else. These are truly incredible numbers. f**k you and the spam you rode in on. I'm not surprised that S3 would sell like hotcakes, in my class, 3 of them got s3. And almost everywhere I go in the city, I would see an s3. Im not surprised either. Its a great phone. Well done Sammy...! Keep it up!